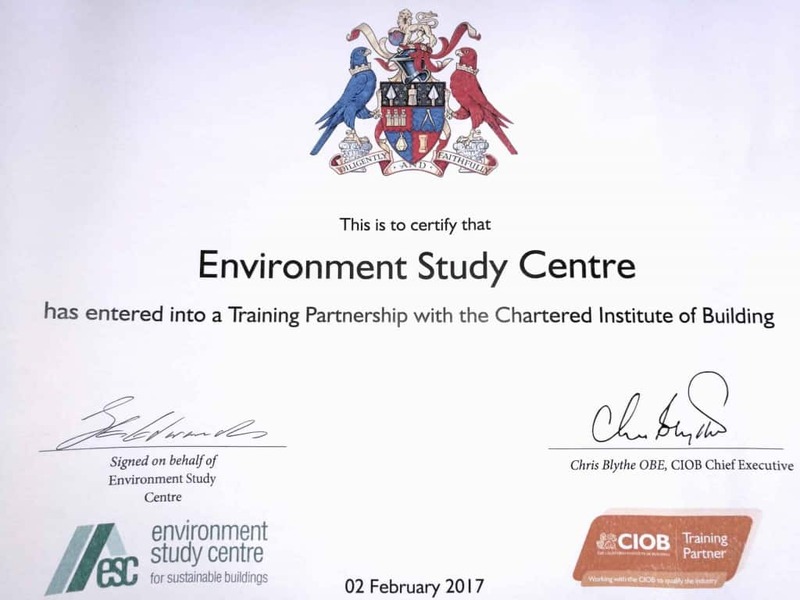 The Environment Study Centre are pleased to announce that they are now an official CIOB Training Partner. This will build upon an existing positive relationship and recognises the high standards of training developed and delivered by the Environment Study Centre. This accolade is a recognised quality mark for training within the built environment sector and relates to both our CPD training and training that delivers qualifications. It also recognises the quality of our trainers who are all practitioner qualified professionals within the sector as well as qualified educators.